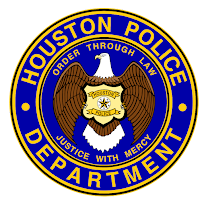 Houston Police Department: Top 25 things to remember about being a police officer. Top 25 things to remember about being a police officer. Family comes first. Don't let the job consume you. Ultimately, the only things that matter are the people waiting for you to come home. Take care of yourself. Live a healthy lifestyle balanced with physical fitness and nutrition. Continue to educate yourself and TRAIN in defensive tactics. Take on extra training opportunities as often as you can. EXPECT THE UNEXPECTED. Be prepared for anything. No call is a routine call. Pay attention, especially during boring or repetitious calls. COMPLACENCY IS DEADLY. Maintain your Integrity. The uniform you wear comes with a certain level of integrity that must be preserved. Remember Cover/Concealment. Always be aware of your surroundings (on or off duty). Stay alert and aware of potential dangers in your patrol zones. Know your patrol zones better than the illegals and smugglers. Be aware of body language and non-verbal communication. Watch the hands and eyes during all citizen contact. Hands kill you – control them. Listen to your instinct. If you don't think something's quite right, it's probably not. 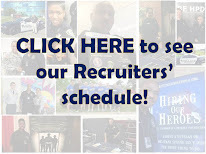 Be professional and courteous to fellow officers, administrators and civilians. Remember, you're being evaluated on and off duty. Know the law. Keep up on all changes of the laws and policies, as well as court decisions. Keep up to date on search & seizure laws and probable cause. Practice defensive driving and safe vehicle operations. More officers get killed by vehicles than gunfire. Wear your seat belt. Practice, practice, practice. Train to react and rely on your training. Practice firearms, defense tactics and verbal judo skills like your life depends on it. Have other interests, hobbies outside of your work. Know your strengths and weaknesses including size limitations. Don't disregard your backup until you're sure you don't need it, and then think through it again. When backing up fellow officers, be the best you can be. Know your equipment and take care of it. Be proficient with it. Never underestimate the enemy. On every encounter, expect your worst possible adversary. Play the "what if" game in your head so that you are prepared for any situation. Remember the golden rule of handcuffing - cuff and then search. When searching for a weapon, remember the "Plus One" theory - if you find one, search for two and if you find two, search for three and so on. Remember to advise dispatch of your location. Practice your communication skills - writing and speaking. This includes writing thorough and detailed reports. Have confidence in and support your fellow agents. We are all brothers and sisters under one badge. I agree, now I'm just hoping my luck will turn,and I can be apart of the family under the one badge. Great advice for those of us in 209 who will be graduating in a few weeks. Keep up the great work, Officer McCoy! !